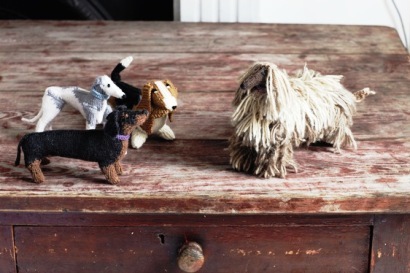 Now you can own the ultimate pet companion…no feeding, no barking, no shedding and no mess! 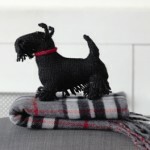 It just takes an artful eye, masterful hands and a passion for knitting. 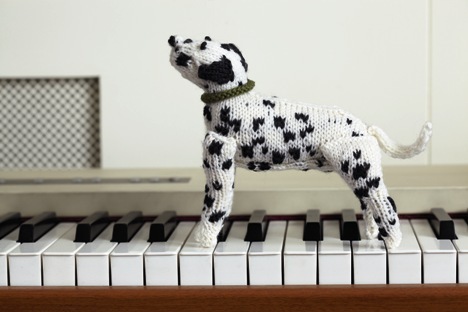 Knit Your Own Dog is a creative collection of 25 easy-to-follow patterns that will motivate even the novice knitter to design the perfect pup. Each pattern is extremely detailed with beautiful color photos to guide and inspire. Expert tips from choosing yarn, stuffing and finishing accents are included. Nothing is missed! 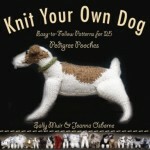 There are even instructions on knitting the dog’s collar. 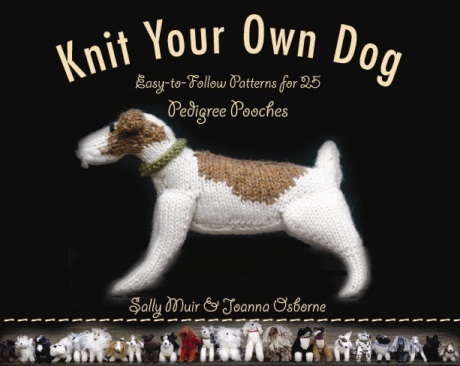 The authors, Sally Muir and Joanna Osborne, own a successful knitwear business in England. Their finished products are exported all over the world. In fact, the knitting duo is quite famous…with several of their knitwear designs now part of a permanent collection at the Victoria and Albert Museum in London. 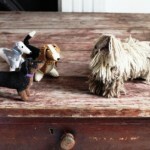 Whether it is the pretty Poodle, burly Bulldog or loyal Labrador, you will want a kennel of these cuddly canines. The delightful dog personalities come alive on every page! If a knitting supply shop is not nearby…no worries. 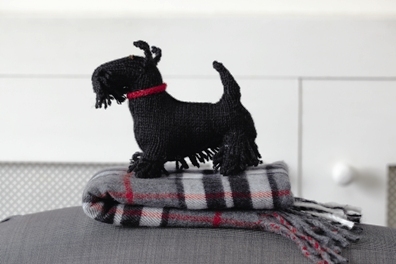 Muir and Osborne are happy to ship you all that you would need to knit your favorite breed – this limited edition kit comes in a beautiful canvas bag complete with wool, needles, stuffing, dog tag and the unique pattern. Cost: 30 English pounds ($48 US) plus shipping.